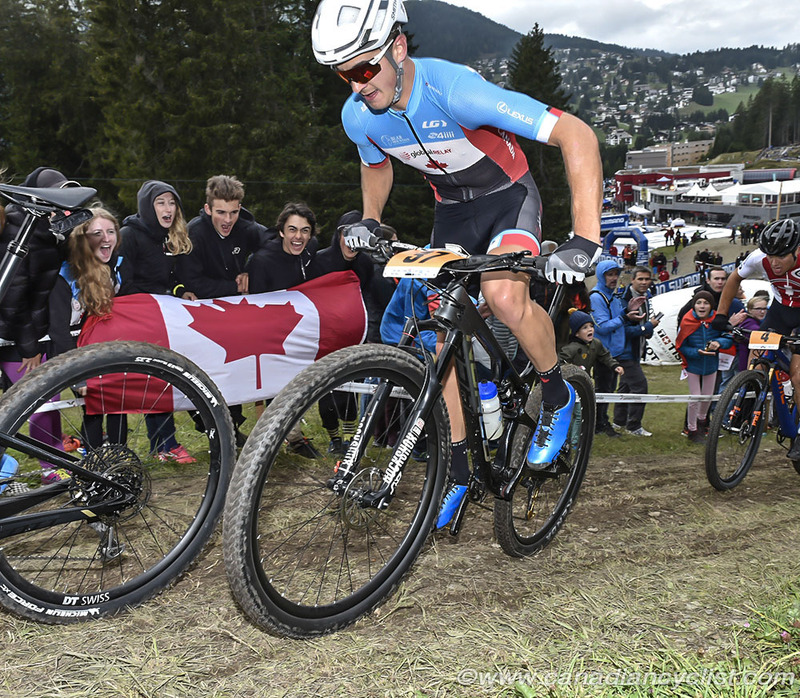 Sean Fincham of Squamish, BC, was Canada's top rider on Friday, Day 3 of the UCI Mountain Bike World Championships, in Lenzerheide, Switzerland. Fincham finished 14th in the Under-23 men's competition. In the Under-23 women's competition, Emily Unterberger of Revelstoke, BC, finished 20th and Laurie Arseneault of Terrebonne, Quebec, was 21st. 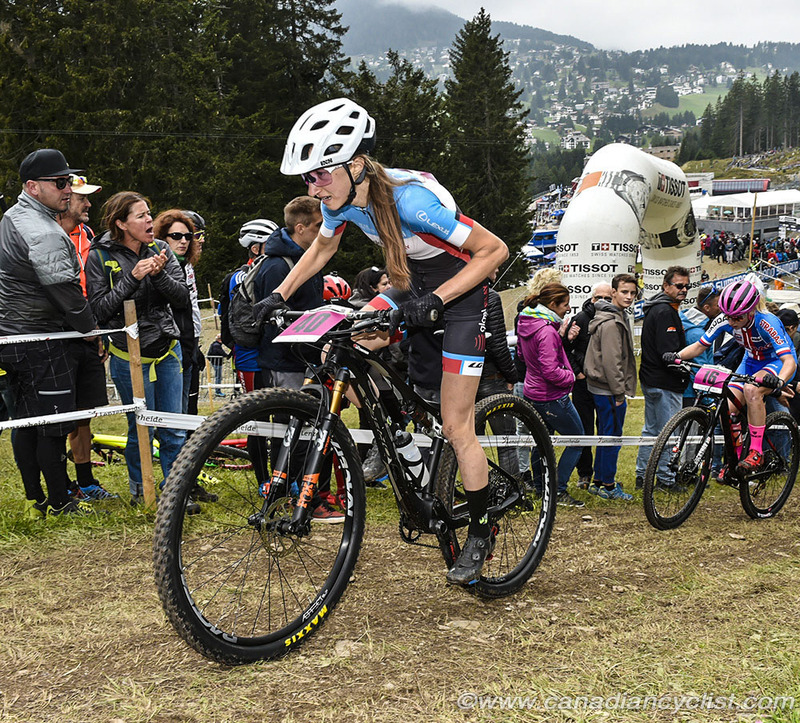 Switzerland was favoured for the women's race and they did not disappoint, with defending champion Sina Frei and her team mate Alessandra Keller riding away from the rest of the field on the first lap. The pair rode together until the third lap when Keller attacked, opening a 38 second gap by the end of the lap and extending it to 1:22 by the finish. Frei rode the rest of the race in second, holding off a late effort by Marika Tovo of Italy to make it a 1-2 finish for the Swiss. "There are no words," said Keller, "the crowd was amazing, cheering for me - it was so loud. It's a big dream to win this title, I was unlucky last year with a crash, and I was sick at Europeans [Championships], so this is a dream come true." Unterberger moved up steadily through the race, from the mid-30s in the first lap, to the high 20s and then into 20th place with one lap to go. Arseneault, the Canadian national champion, had a stronger start, but faded slightly in the final laps. Other Canadian results include Mackenzie Myatt in 27th and Juliette Tetreault in 42nd. The men's race saw a group of ten form at the front on the first lap, including last year's silver medalist Alan Hatherly (South Africa), World Cup champion Petter Fagerhaug (Norway), Christopher Blevins (USA) and David Nordemann (Netherlands). Hatherly was the most aggressive, and by the third lap only Blevins was still with him. The pair rode together for the remainder of the race, with Hatherly finally dropping Blevins in the last half lap to solo in for the win, 27 seconds ahead of the American. Nordemann took third. 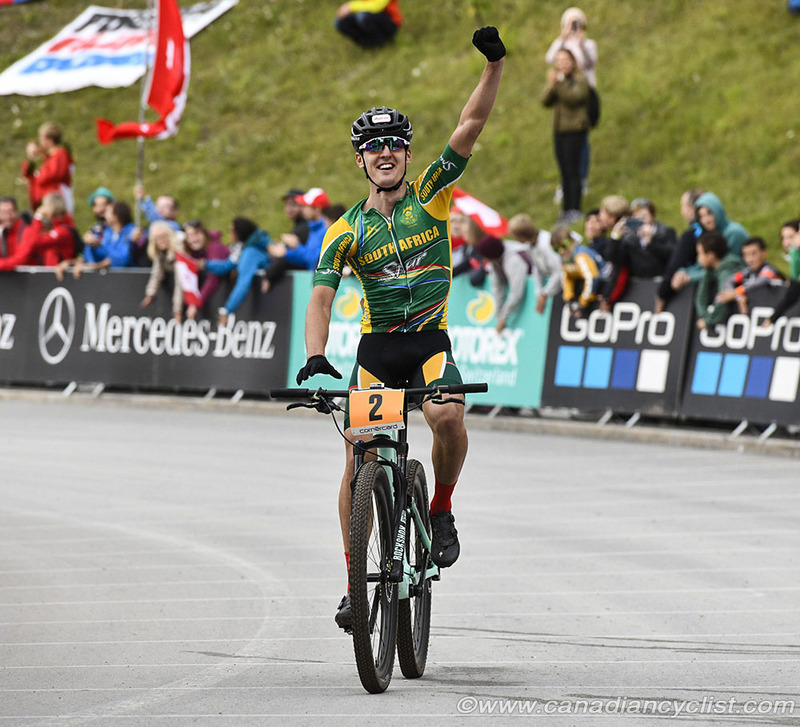 Hatherly's win came nine years after fellow South African, the late Burry Stander, became the first XCO winner for his nation. "I had a taste of victory at Mont-Ste-Anne [World Cup] about a month ago," said Hatherly, "and since then I've just been preparing. I knew the possibility of winning was quite good, so it was a matter of making sure the final preparations were perfect. It's pretty unbelievable; these aren't the sort of conditions we get in South Africa, and at altitude where I normally struggle. A dream come true. I knew Chris has a pretty good kick from his road racing, so the last thing I wanted was for it to come down to a sprint. So on the last lap I just wound it up and kept my head down the whole way." Fincham, the Canadian men's Under-23 champion, started on the fifth row, but had made his way to the mid-20s by the end of the first lap. His second lap was the fastest of the entire field, moving him into 16th, and a lap later he was up to 11th. However, the effort took a toll, and he faded slightly in the second half of the race. Fincham, who was a member of the Team Relay squad that finished eight on Wednesday, said "It's been a pretty awesome Worlds, I'm stoked. The start is always hectic, but I managed to sneak by a few people before the singletrack, and I hit there to move up. I was in there fighting for the top ten, but fell apart a little bit at the end. It's been an eye-opening year ... I know it's possible now, and I'm looking forward to next year."